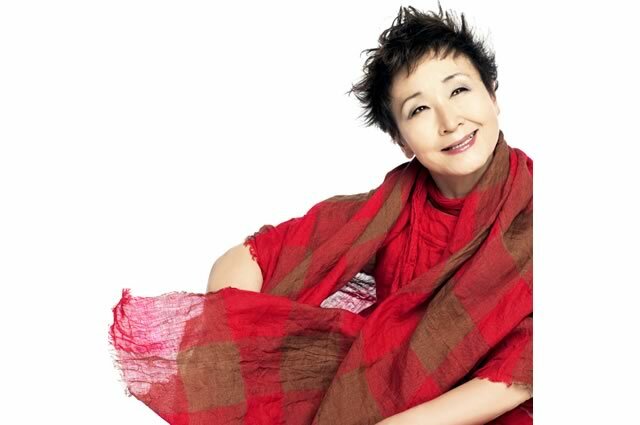 While she was a student of the University of Tokyo, She won the grand prix of the Amateur Chanson Singing Contest. She started her career as a singer since then. In 1966 she won the best new talent award of the Japan Record Grand Prix by singing her song “A Red Balloon”. She also won the best singing artist award of the Japan Record Grand Prix in 1969 by singing “Lullaby For A Lonely Night” and in 1971 by “Travel Weary In Shiretoko”. She has many songs that made a great hit such as “If I Could Fly” “Love Life” “The Gray Eyes” “An Old-Fashioned Bar” “No Regret For My Life” “Millions Of Roses” “A Wrecked Ship” “The River Flows”. She has been writing her original songs and singing them and many Asian and European songs. She is giving nearly a hundred concerts annually in Japan. In recent years, she started on performing with an orchestra and so many concert have been done not only in Japan but many countries in the world.